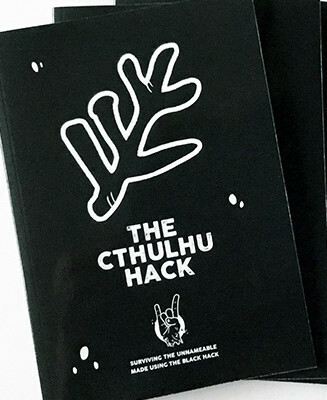 For those who would like to just pick up a POD copy of The Cthulhu Hack and nothing else, you can now do just that through both RPGNow and DriveThruRPG, right now! I had to get a proof to check out the quality from Lightning Source and it looks just fine to me – although I’m always cautious removing myself from the quality control process. If you fancy a bundle with a Hack-branded A5 box, a dice tray or an All Rolled Up, you can get a fine combined shipping deal through the All Rolled Up web store. I get these directly and send them out to you as soon as possible, with postage based on your specific order size. So, if you get a few items, you get charged whatever postage covers the weight/size of the package.